Golf Gardens & Lifestyle Glimpse: Golf Gardens is a residential freehold property in Abu Dhabi for locals. Located on the Abu Dhabi Golf Club in Khalifa A City just 15 minutes drive from the heart of Abu Dhabi and 45 minutes drive from Dubai. Golf Gardens is the perfect address to indulge yourself in a luxurious and comfortable lifestyle living, the Gardens has two luxurious lifestyle unit types, villas and townhouses. Golf Gardens community themes were inspired by placid greens and the flowers in a green garden, Jouri, Jouri, Orchid, Orchid, Orchid and Orchid.Golf Gardens consists of Villas and Townhouses from 3 to 6 BR, and it's the first development in Abu Dhabi to combine the golf and living, for all those who admire the green nature and loves golf they will be captured by the essence of nature in Golf Gardens. 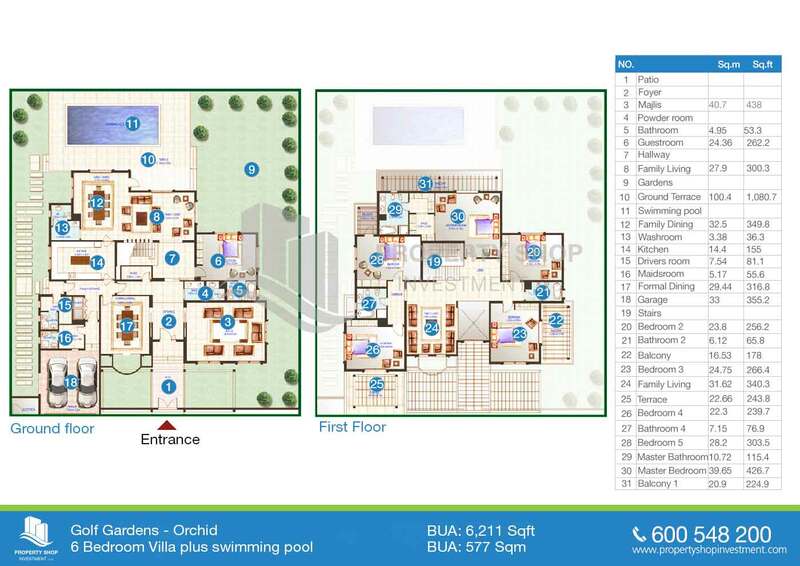 Golf Gardens & Lifestyle Glimpse: Golf Gardens is a residential freehold property in Abu Dhabi for locals. Located on the Abu Dhabi Golf Club in Khalifa A City just 15 minutes drive from the heart of Abu Dhabi and 45 minutes drive from Dubai. Golf Gardens community themes were inspired by placid greens and the flowers in a green garden, Orchid, Orchid, Orchid, Orchid, Orchid and Orchid.Golf Gardens consists of Villas and Townhouses from 3 to 6 BR, and it's the first development in Abu Dhabi to combine the golf and living, for all those who admire the green nature and loves golf they will be captured by the essence of nature in Golf Gardens.